Once the end of the year celebration are over, I just want the winter to be over too! Obviously with this chilly weather, it’s not gonna happen anytime soon! 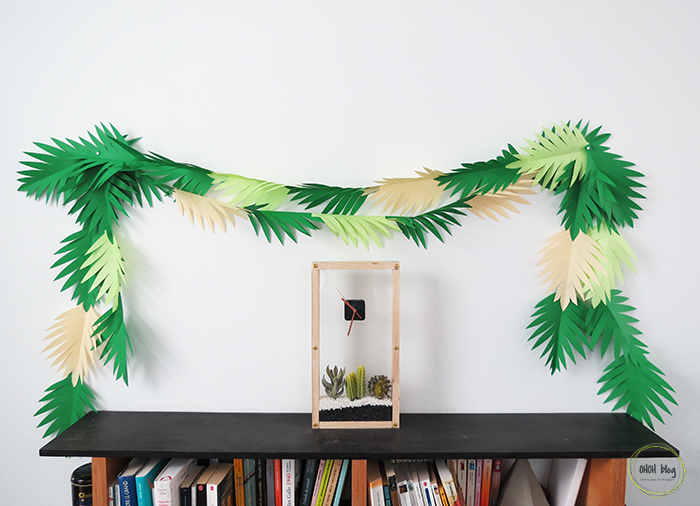 So I just made a little jungle nook to help me wait until summer time! 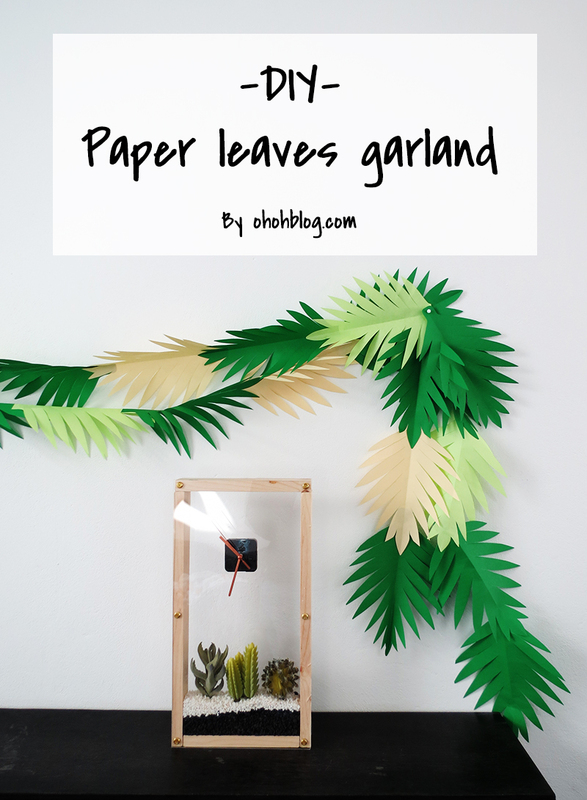 This paper leaves garland is very simple to make, you just need color paper sheets (dark green, mint green and beige), a pair of scissor, a pencil and some glue! 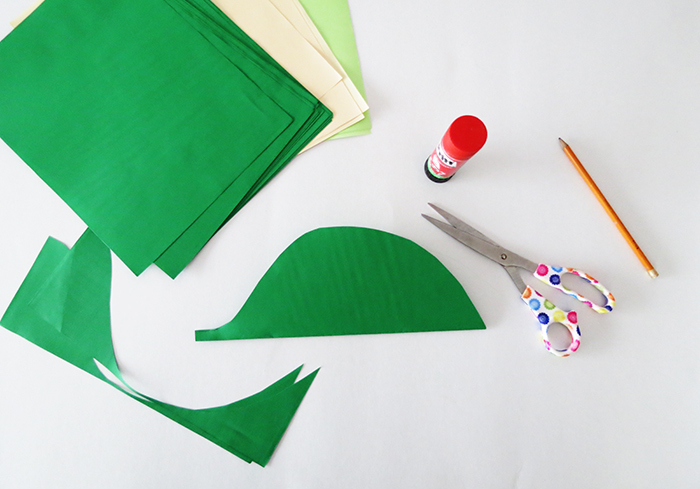 Fold the sheet in the middle lenght wise and draw the shape of a half leaf, a small line for the stem and half round for the leaf. 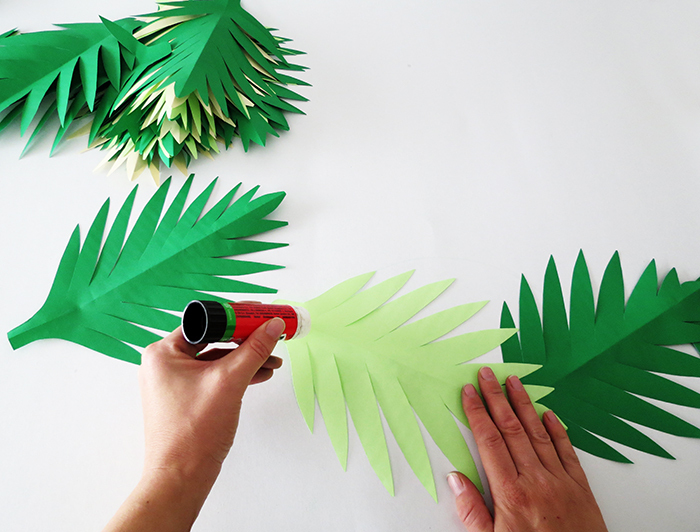 Using the scissors, make V notches in the leaf, starting from the stem. If you don’t feel confident enough to cut directly, you can draw the shapes with a pencil first and then erase the lines once you are finish. 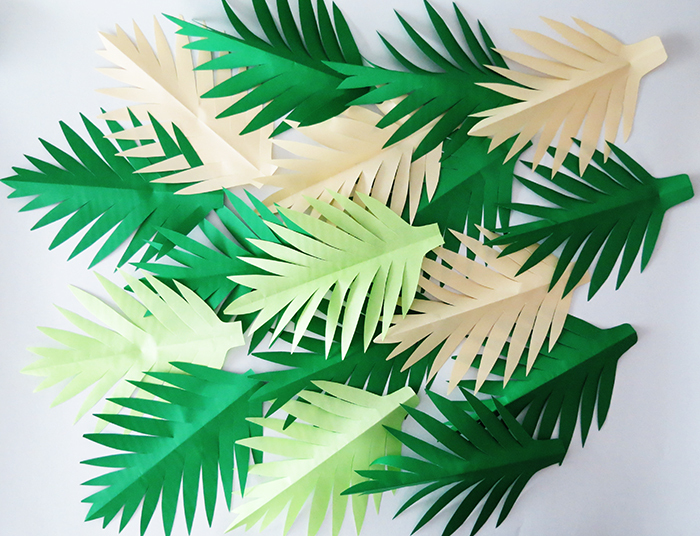 Make a all bunch of leaves! 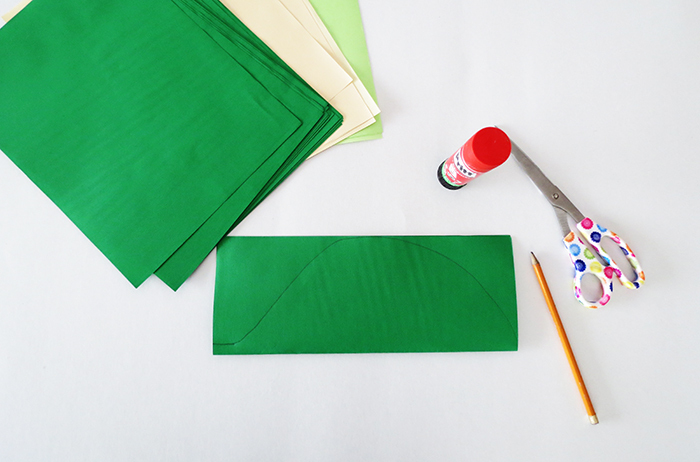 To make it fastest, you can fold and cut several sheets together. 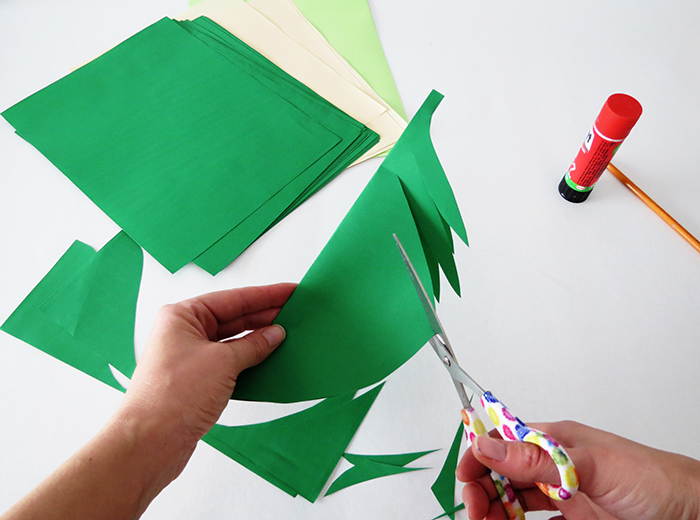 Put some glue on the leaf stem and attach it with an second one, keep gluing leaves together to make the garland. Attach the garland on the wall using a pushpin at each end. It looks better if you have several garlands that overlap. And done! 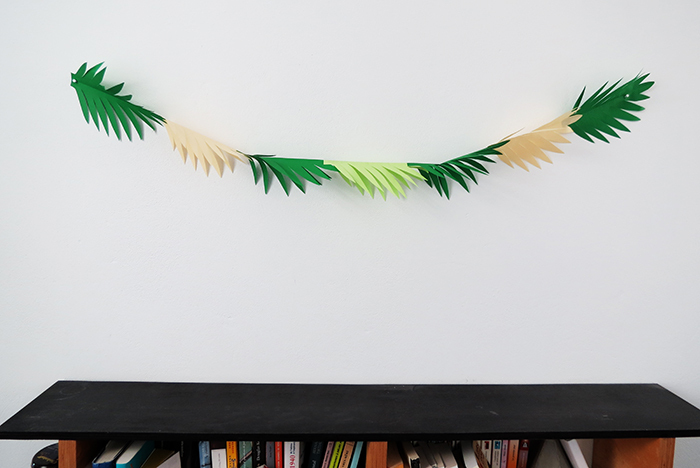 It’s a really quick project to make, so it’s perfect for a party or as a temporary decor! 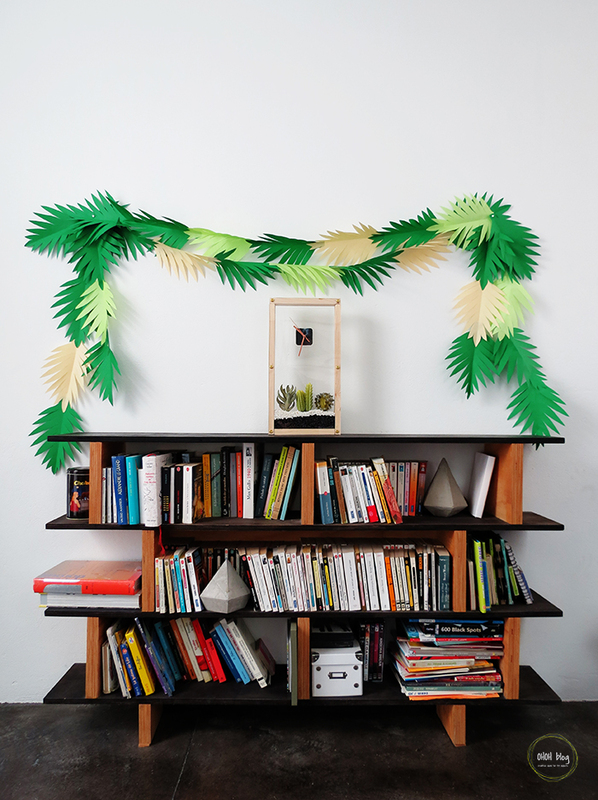 If you want to build the same bookshelf, you will find the tutorial HERE. 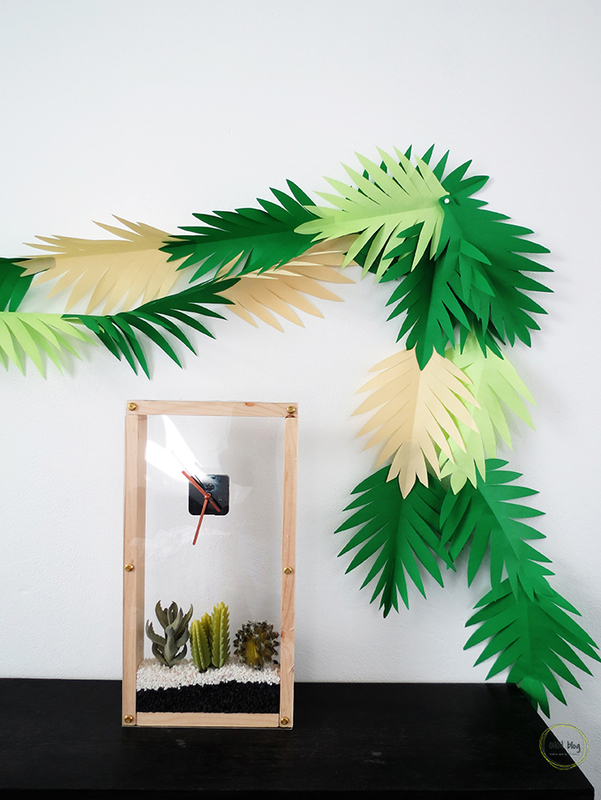 The explanation to make a cool terrarium clock are HERE, and the diamond bookends tutorial is HERE. 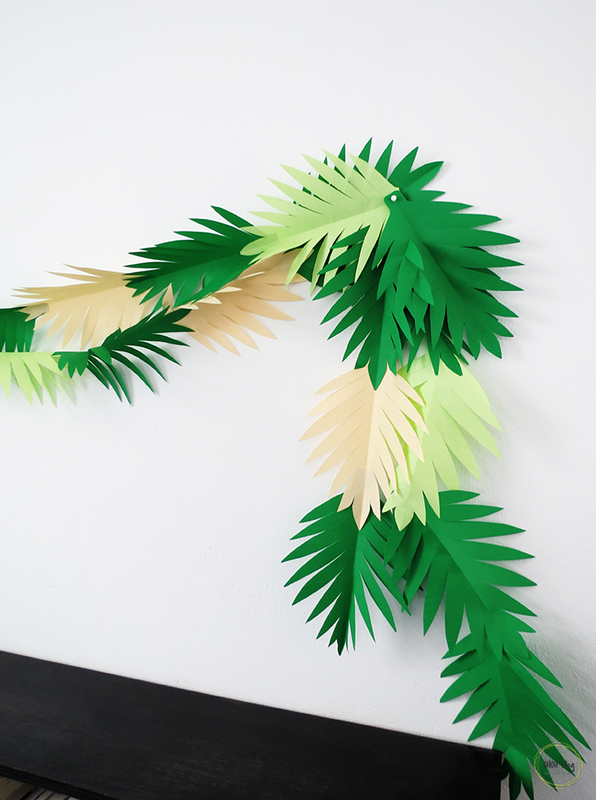 Hi, I really like this idea,I want to know what kind of paper you use to make the leaves, thanks! Hello, I used regular USletter size (or A4) color paper sheets. The ones you can find in any stationery shop. 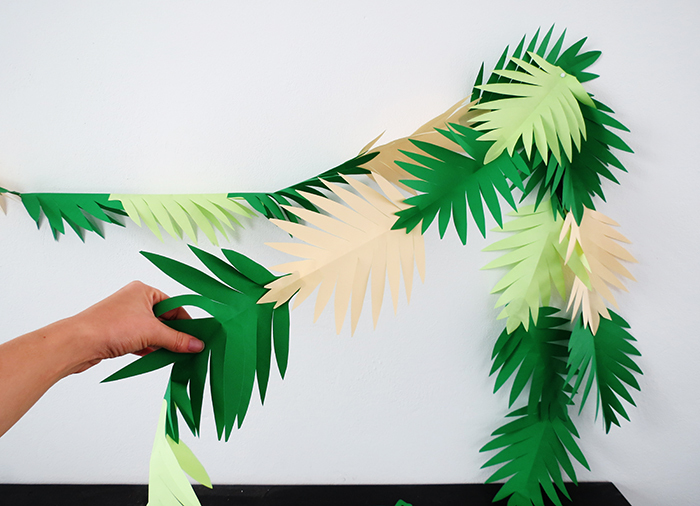 Hello, I’m trying to make this but can’t seem to get it the leafs the same pattern can you post a video tutorial, or a detailed explanation of exactly how you cut it/did it.